Washington, DC – Preliminary numbers are in and about 6,000 students participated in last Friday’s attempt to set a world record for coordinated participation in a Learn to Ski or Snowboard lesson. Unseasonably warm weather in Midwestern and Eastern parts of the country caused cancellations at some ski areas, but nearly 150 of the original 164 locations were able to offer 10 a.m. lessons in their local time zones. Participating resorts have the remainder of the week to submit their final numbers for inclusion in the Guinness World Record submission for official recognition. The official Guinness participation numbers are expected to be announced at the National Ski Area’s Association National Tradeshow and Convention taking place May 18-21 in Nashville, Tenn. Ski Utah partnered with the U.S. Forest Service to bring nearly 500 school children out to local resorts for a free first-time lesson, while Sunlight Mountain Ski Resort in Colorado organized another youth-oriented program that also involved the Forest Service. Burton Snowboards figuratively brought the mountain to the people by giving nearly 100 elementary school children their first snowboard lessons at Kings Beach Elementary School in South Lake Tahoe, Calif. In southern California, Mountain High added 97 skiers and snowboarders to the cause. At this point in time there is no official Guinness record for the greatest number of people attending and participating in a snowboarding lesson at multiple locations set up by the same organization, so one might conclude that any number would do the trick. Mary Jo Tarallo, spokesperson for the National Learn to Ski and Snowboard Month explained that there are records for both ski and snowboard lessons at one venue and they were both set in Europe, so her organization would have to beat those numbers to achieve the individual record. However, Tarallo, expressed doubt that the effort would top the record books for individual venues — although they still have a shot at the multiple-venue record if Guinness recognizes it. Tarallo said that Guinness requires that the lessons be videotaped, certified by an official onlooker and a log must be presented with each participant’s name so organizers expect some of the 6,000 will be disqualified. Also, each resort must offer ski and snowboard lessons to at least 25 students in each category. Tarallo noted that if her organization attempts another record breaking event, they will have the experience to better prepare resorts for the verification process. No matter what the final numbers are the snowsports industry is the winner. “One of our goals was to motivate first timers to learn how to ski or snowboard by taking a lesson and engaging with fellow participants. January is National Learn to Ski and Snowboard Month and we thought a fun event like this would serve as an ideal kick off and a way for us to get everyone talking about ways to stay active during the winter months,” Tarallo said. At Whiteface Mountain, home of the 1980 Lake Placid Winter Olympic alpine events in New York’s Adirondack region, about two dozen novices, mostly from the Montclair State University Outdoor Adventure Program in New Jersey joined in the record breaking fun. 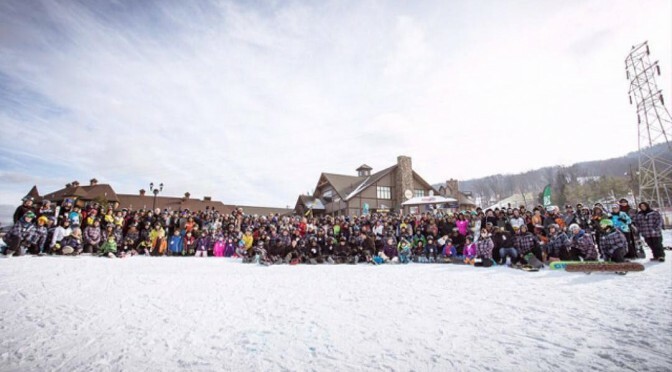 If those students had chose to stay in Jersey they could have done it at Mountain Creek, which Tarallo said is leading the nationwide resort tally with 250 participants. 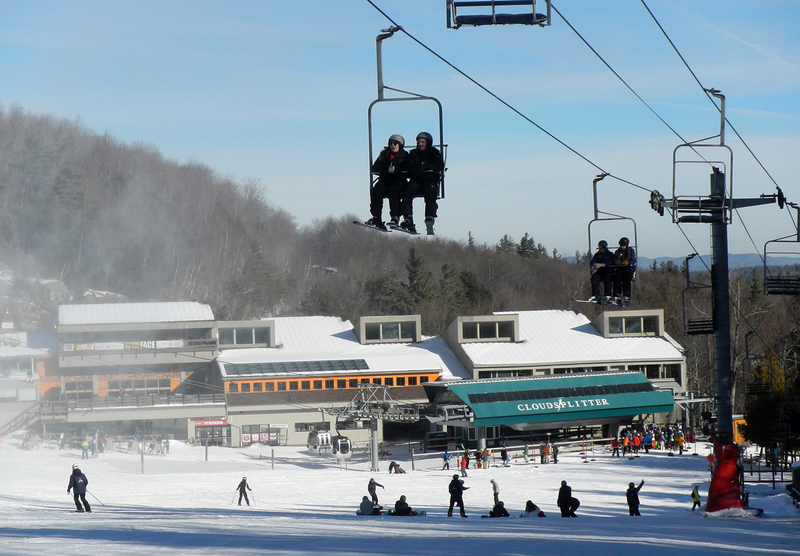 Those who missed out on last Friday’s event can still take advantage of the hundreds of deals that ski areas are offering throughout January for Learn to Ski and Snowboard month.